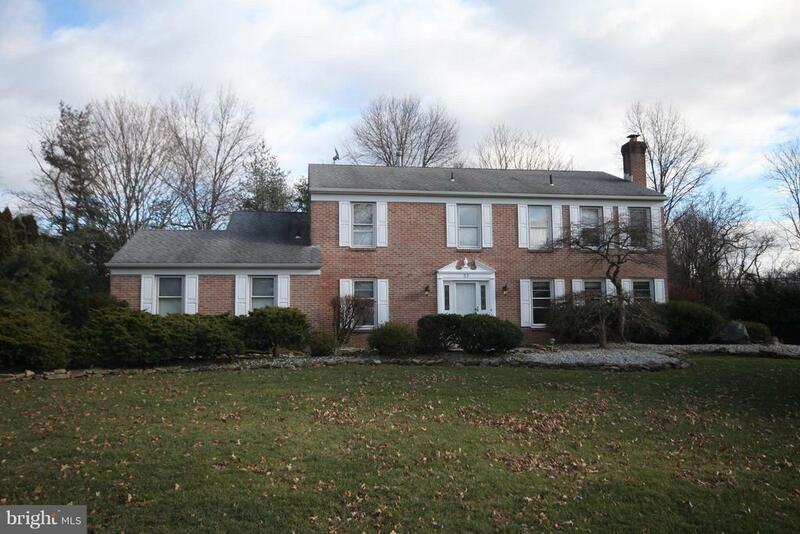 Located in Desirable Lawrence Twp with award winning schools, this large and very spacious Colonial is located in the much sought after community of Lawrenceville Green. With over 2, 800 sq ft of living space, this home features 4 bedrooms, 2.5 baths and a large sun room with hot tub. Situated on a nicely landscaped big lot, there is a beautiful large updated eat-in kitchen with ample cabinet storage, counter top space and big breakfast area which overlooks the generously sized Family Room. Formal Dining room, spacious and sunny living room with fireplace and a huge sun room with included hot tub. Large Master Suite with sitting room, full private bath and two walk-in closets. 3 additional generously sized bedrooms and full hall/guest bath. 2 car side-entry garage. The full basement offers ample storage space. Huge laundry room with separate laundry sink and a half bath off the family room. Newer heater, A/C and hot water heater. New driveway and paver walkway leading to front door. Professionally landscaped with plenty of yard space. Includes back-up generator. Conveniently located to public transportation for easy commuting, short drive to downtown Princeton, major highways, parks, restaurants and shopping. Come see it right away!